As the first day of 2015 approaches, the time for New Year's Resolutions is upon us. Will you vow to scrimp and save more? Or to get healthier? Maybe to attend more cultural events and explore the city? No matter what your resolutions for the new year are, Bryant Park is here to help you keep them! Bryant Park has a ton of great options to keep you moving (even when it's cold outside). - Take a spin on The Rink. Bring your own skates or rent ours for a wintertime workout. 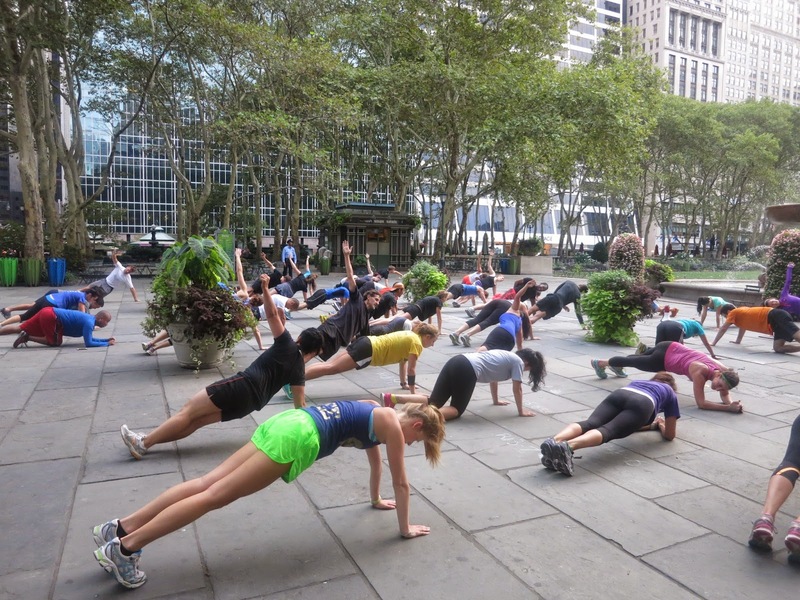 - Join The Rise for a brisk Boot Camp workout before work. Working out in a large group will keep you motivated each week, even despite the cold weather. They're a lot of fun and even do fun themed workouts like this one. - It may surprise you, but our Juggling program is also a great way to stay fit! It may not be the most high intensity work out there is, but it's a great way to get moving and have fun at the same time. The Rise draws a huge crowd from Summer to Winter - they're a dedicated bunch. - As NYC's only free ice-skating rink, Bryant Park's Rink is the perfect place to go to keep that penny-scrimping resolution going. If you bring your own skates, skating is completely free. - All our programming is completely free and open to the public. As the weather gets warmer, many of our programs and amenities will start up again. From taking fencing classes to poetry readings to ping pong games, you can spend a whole day in Bryant Park without taking your wallet out of your pocket. Bryant Park isn't only Midtown's backyard during the warmer months - it's all year round! Instead of fearing the cold and spending more time inside this winter, keep your resolution to enjoy the outdoors. Come out and take a seat in any of our thousands of movable chairs or grab a bite outside under Celsius's heated outdoor lounge. There's more than enough to do for the whole family in the park - from Le Carrousel to the Southwest Porch, Bryant Park is a great place to bring the family for a full day of fun activities and relaxation. 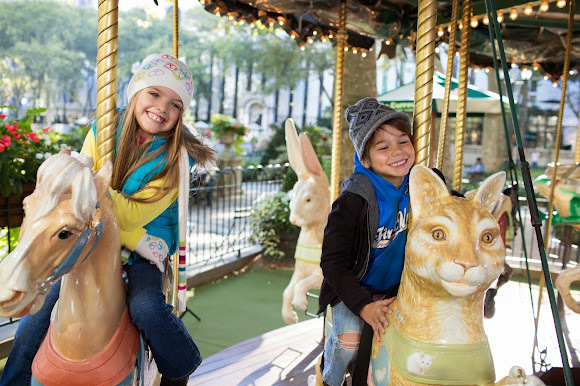 The kids will love to take a spin around Le Carrousel on their favorite animal. We'll see you in 2015!